is applied, generating a single tone. 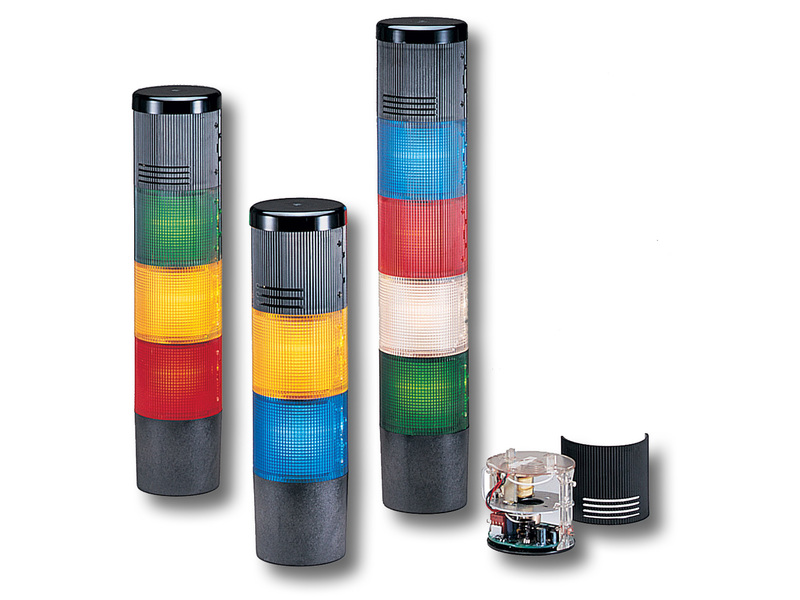 The Model LSH can be used as a stand-alone audible device (with the LSB pipe/surface mount base or LSBS surface mount base), or combined with the Federal Signal Litestak light modules to create a combination audible/visual signal. The LSH Horn is a modular unit which mounts directly onto the top of any Litestak light or base (sound units must be positioned at the top module of the status indicator). A black speaker grille cover protects the horn. The volume can be adjusted by removing the grille covers and adjusting the volume control below the horn mechanism. All Litestak models should be mounted base down. Ideal applications for Litestak audible/visual status indicators include assembly lines, conveyor systems, automated lines, instrument panels, workshops, etc.